In the past few years, we thought the market for third-party email apps was dead. There was Outlook, Apple Mail and Gmail, and that was it. Then, something happened. Now we have email clients for almost every taste: from minimalistic Gmail-only apps to full-featured apps, from very specialized ones to generalists and from rather ugly interfaces to really beautiful ones. Up until very recently, I didn’t use any of them. I was fine with Apple’s Mail app: It did it’s job rather well and was reasonably stable. It wasn’t very exciting and I was never fully satisfied with it (neither with the features nor with the UI) but every time I tried one of the others, they lacked one or more of the long list of requirements I had for such a central app in my daily life. For one, it had to support multiple accounts in a sane manner, which in itself is a huge task. A few weeks ago, Jerome brought Airmail 2 to my attention. At first I was a little hesitant because none of the previous 15 apps I had tried had ever satisfied my needs (and workflows), but I decided to give it a try none the less. After an initial speed bump (it took me a few minutes to figure out that the “import” option really only imports accounts from Airmail 1.x and is not intended to be used to import accounts from Apple’s Mail app) I had quickly added a few of my accounts. It was easy, it looked decent and the settings looked very, very promising. Long story short, I’ve since moved entirely to Airmail. Except for one very minor workflow (automatically deleting old emails in certain mailboxes) every single feature I was looking for is there. It even provides a great plugin API (something Apple has really neglected so far) that lets you customize your app even further. 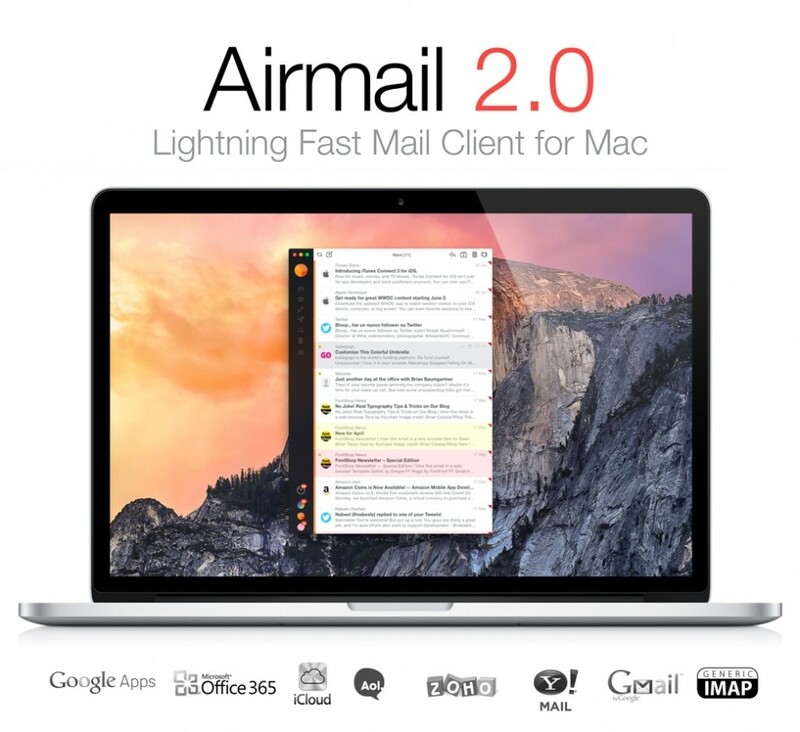 So, if you’re looking for a email client, you should definitely give Airmail a try!